If you follow me on Facebook, then you know I just started my porch makeover this last week. I finally got everything painted and my new screen door on and now it's time for fun part, decorating! 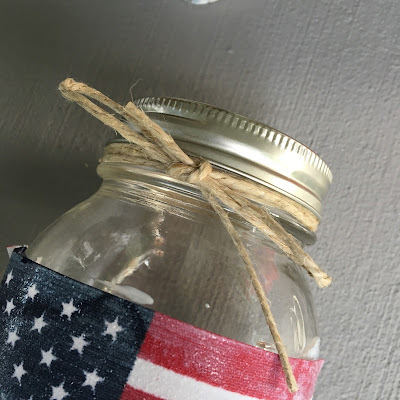 These Patriotic Mason jar luminaries are such a fun and simple decoration to make! They are a perfect activity to let the kids get involved with. 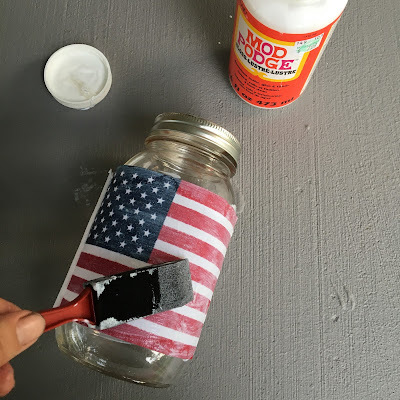 You will need the following supplies: The same number of jars, 4 x6 inch flags and candles (the number will depend on how many you plan on making), Mod Podge, foam brushes, twine or raffia, and scissors. Start by sliding the flags off of their poles. 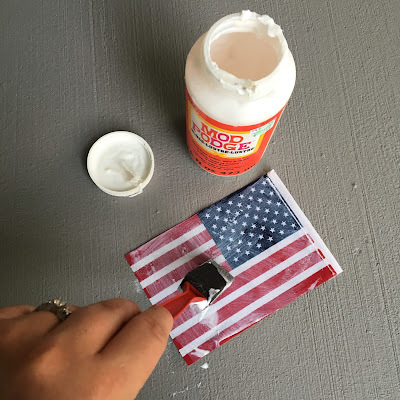 Next brush the back side of the flags with Mod Podge. Then place your flag on the smooth side of the jar. Then brush over the front of the flag with more Mod Podge. Lastly, you are ready to tie your twine or raffia around the top of the jar. Now, your jars are all ready to display! 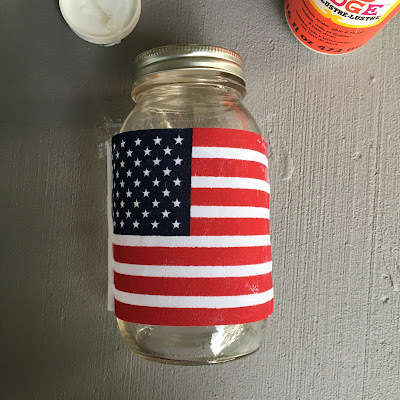 Slide a candle or flameless candle inside the jar for a night-time glow. Do not leave burning candles unattended. I just love how these turned out and love looking at them at night! Check back soon for my full porch makeover reveal!